The former Limavady United boss will fill the void left by Johnny Law who departed to become the new first-team manager at Portstewart. 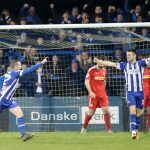 Mullan is no stranger to the Bannsiders having played for the club and is currently involved with County Londonderry at this year’s SuperCup NI tournament. 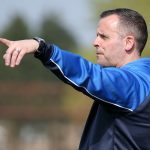 Speaking after announcing his arrival, Stripes boss Oran Kearney believes Mullan’s attributes will be a major benefit to the club. “We didn’t see Johnny’s move to Portstewart happening so quickly but we wish him the best of luck,” he said. “I think when that happens, it’s vital that the club tries to act quickly for a replacement but not rush into it, so that you get the right person. “I’ve had the privilege of knowing Ollie for over 25 years now, we played football together at different stages of our careers and he is someone I know and trust. “He’s had a previous spell with the club and I think his role in the SuperCup NI has come at the right time in relation to he’s itching to get back into football. “He is brilliant at working with youth players and their parents which is vital at that age group. He has a really good eye for a player and how things should be run. Mullan admits the opportunity to return to the Irish Cup holders was too good to turn down and he can’t wait to get started in his new role. 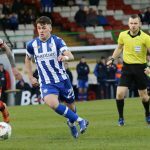 “It’s not new territory for me as I’ve been at Coleraine before, but once Oran spoke to me about the project, I was keen to start,” Mullan said. “My main role here is to make the players are capable and competent of playing in the first-team. As I live nearby, I have a good knowledge of the youth players who are about locally. “Oran’s record speaks for itself and he’s very good at his job. He had a good year last year and I’m sure he will be great to work with. He has given me a remit in my role and it tells me if I’m doing it right or wrong, which is how I like to work.